You've heard a lot about the IIoT for maintenance, but what does it mean for you? The IIoT is coming, and it will change how your work is done in the same way other digital technologies have transformed how we live our everyday lives. Now is the time to prepare. Get answers to your questions about the IIoT—from how the IIoT is changing the maintenance field today to the challenges & benefits of IIoT technology for tomorrow. The future of maintenance management is coming, whether you are ready or not. Stay ahead of the game with our IIoT guide to position you and your company for success. the document. All fields are required. As a maintenance manager, you’re responsible for the team that monitors and cares for your organization’s valuable capital assets. The IIoT will provide you with enhanced connectivity and more detailed, real-time visibility, helping you do that job faster and more effectively. Now is the time to think big. 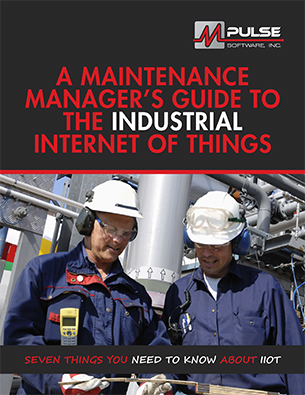 Download "A Maintenance Manager's Guide to the Industrial Internet of Things (IIoT)" and get started.